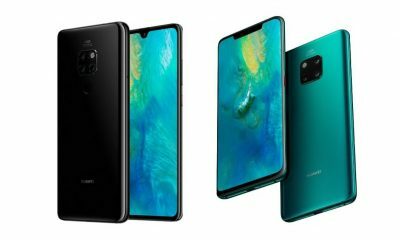 Huawei, the world’s third largest smartphone maker, has officially launched the Huawei P30 and P30 Pro smartphones at the event in Paris. The new handsets come with the 10x lossless hybrid zoom technology, Kirin 980 octa-core processor, ultra-premium design, and much more. Let’s have a look at the specs, features and pricing of these newest Huawei flagships. If you are running out of time, then just go through the list of specifications. Other features: IP53 rating, NFC, in-display fingerprint sensor, Face Unlock, etc. 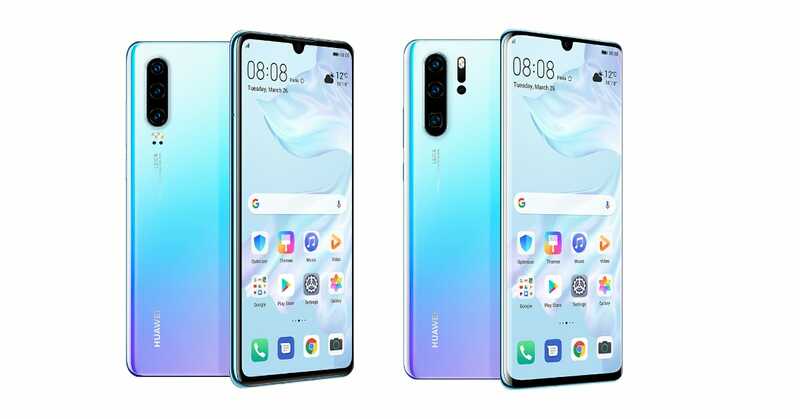 First off, let’s start with the Huawei P30. It features a 6.1-inch FHD+ OLED display with a resolution of 2340*1080 pixels and a dewdrop notch. 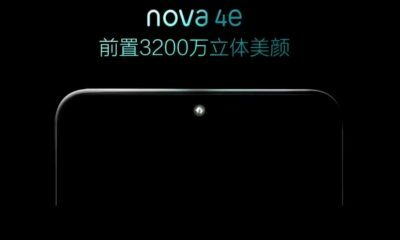 Specs include HUAWEI Kirin 980 octa-core processor, 6GB of RAM, and 128GB ROM. The best feature of this new handset is its camera. On the rear, it packs Leica Triple Camera that consists of a 40 MP (Wide Angle Lens, f/1.8 aperture) sensor, a 16 MP (Ultra Wide Angle Lens, f/2.2 aperture) sensor, and an 8 MP (Telephoto, f/2.4 aperture, OIS) sensor. 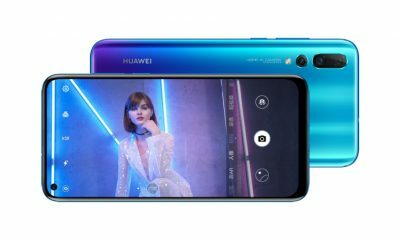 It’s equipped with autofocus (laser focus, phase focus, contrast focus), and also supports AIS (HUAWEI AI Image Stabilization). On the front, there’s a 32 MP selfie camera with a f/2.0 aperture. The device is fueled by a 3650mAh battery. It also has IP53 rating which makes it splash, water, and dust resistant. Other features: IP68 rating, NFC, in-display fingerprint sensor, Face Unlock, etc. 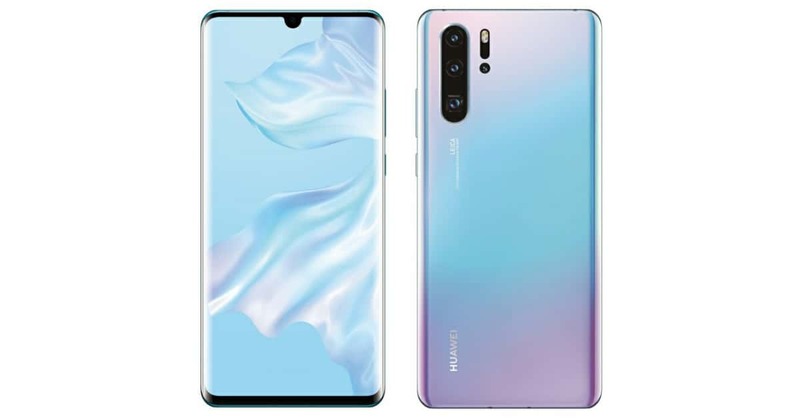 The Huawei P30 Pro is the premium version of the P30 with a bigger display and powerful camera. The handset features a 6.47 inches OLED display with a resolution of 2340*1080 pixels and a dewdrop notch. Under the hood, it is powered by the HUAWEI’s Kirin 980 octa-core chipset. The Kirin 980 is the world’s first 7nm mobile process chipset with stronger performance and lower power consumption. It packs 6GB/8GB of RAM and 128GB/256GB/512GB of internal storage. 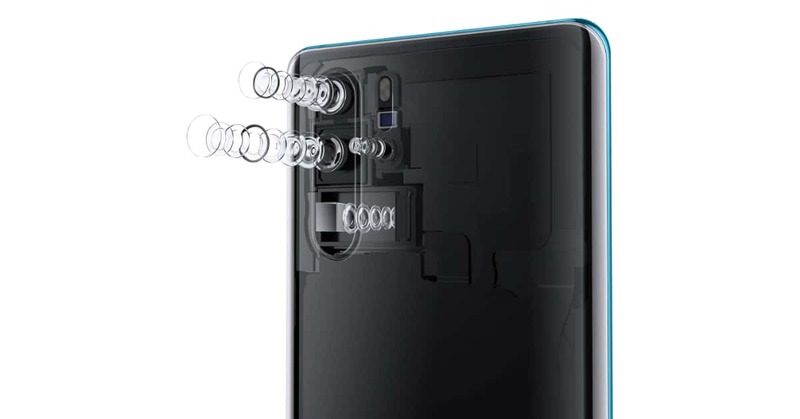 For photography, the P30 Pro has Leica Quad Camera System on the rear. 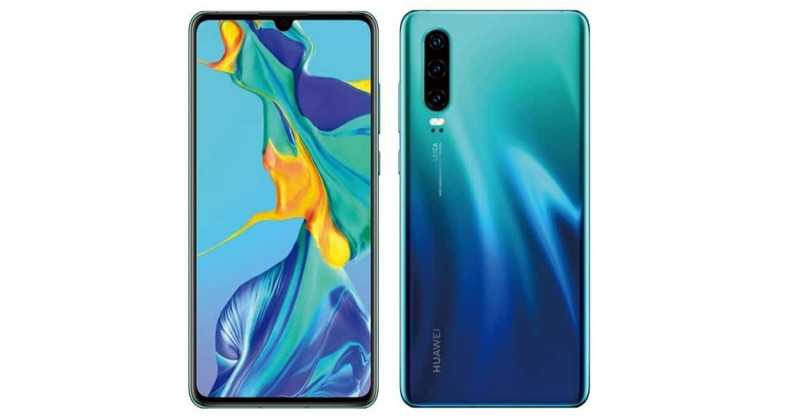 It includes a 40 MP (Wide Angle Lens, f/1.6 aperture,OIS) sensor, a 20 MP (Ultra Wide Angle Lens, f/2.2 aperture) sensor, an 8 MP (Telephoto, f/3.4 aperture,OIS) sensor and HUAWEI Time-of-Flight (TOF) Camera. 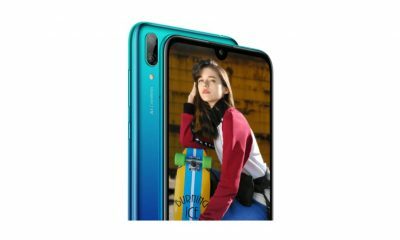 Like P30, it has a 32MP selfie shooter on the front. It packs a long-lasting 4,200mAh battery. 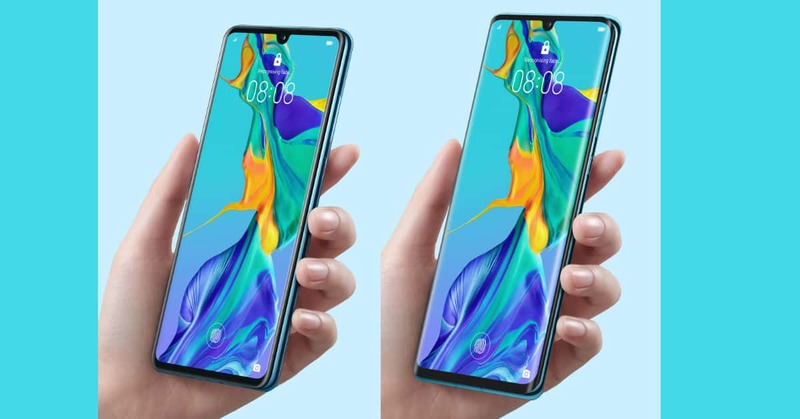 Interestingly, the P30 Pro also has Reverse Charge feature, HUAWEI SuperCharge (Max 40W), and HUAWEI Wireless Quick Charge (15W). The device offers IP68 rating for splaah, water, and dust resistant. The P30 will be available in five different colors: Black, Pearl White, Aurora, Amber Sunrise, and Breathing Crystal. The Pro version will come in Black, Pearl White, Aurora, Amber Sunrise, and Breathing Crystal color options. 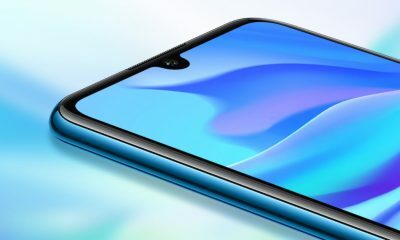 These new smartphones will compete with the Samsung Galaxy S10, LG V50 ThinQ 5G, upcoming OnePlus 7, and other flagship devices. 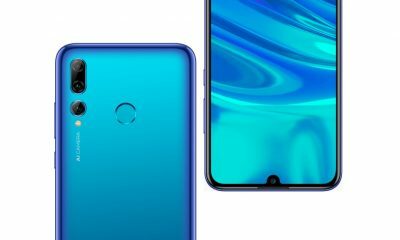 What do you think about the P30 and P30 Pro smartphones? Comment below to share your thoughts on this topic.